This 1 bedroom apartment with swimming pool is located in Benidorm and sleeps 4 people. It has parking nearby and air conditioning. 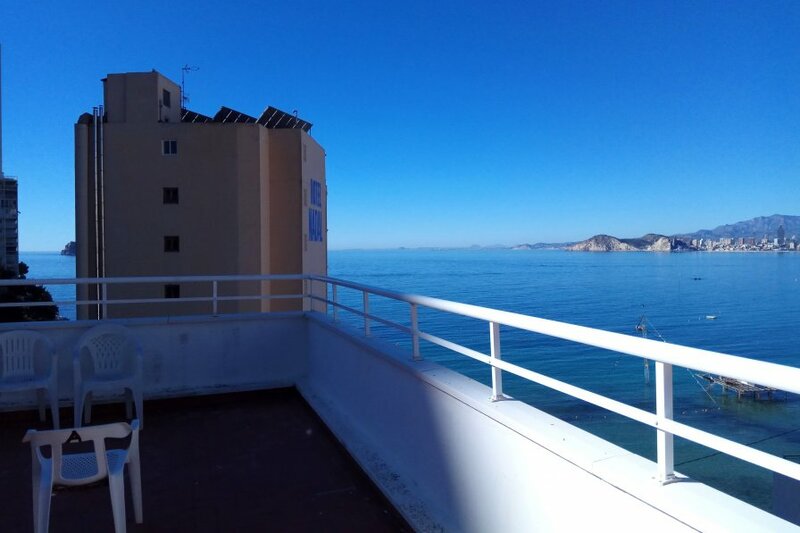 We have this great one bedroom apartment located in the Rincon de Loix area of Benidorm in Edificio Aries. The property is located on the second floor and is fully equipped for holiday rentals including bedding and towels are provided. The apartment sleeps upto four people with one twin Bedroom with television and fitted wardrobes and one double sofa bed in the Lounge that sleeps upto two people. The Lounge Dining area has satellite television and leads onto the Kitchenette. The fitted Kitchenette has a hob, table top oven and fridge freezer. The property has one fitted Shower Room. The apartment has air-conditioning with 4 hours per day included free of charge in the rental period, additional hours are charged with a metre in situ. Guests can enjoy the fantastic communal roof top open terrace of the apartment complex, with spectacular panoramic sea and beach views.